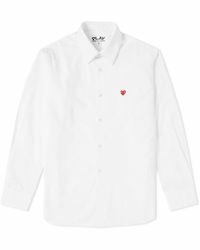 Founded in 1969 in Tokyo, Comme des Garçons is a renowned Japanese fashion label known for its avant-garde, innovative designs. 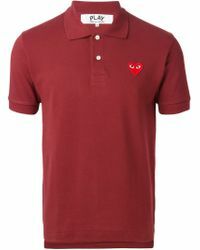 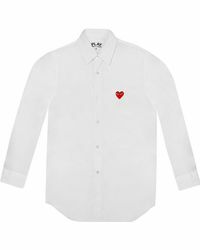 The Play diffusion line is packaged as a collection of urban streetwear, taking items in their original forms and adding playful twists like the iconic red heart logo designed by New York artist Filip Pagowski. 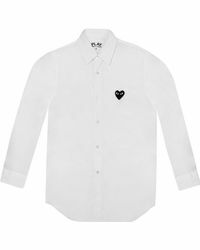 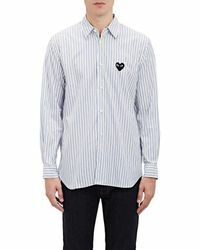 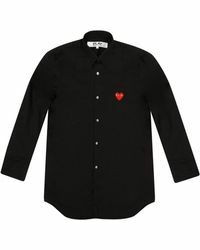 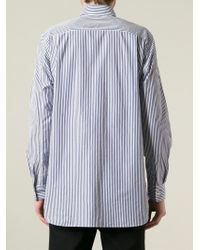 Find this signature logo adorned on these contemporary yet classic men's Play Comme des Garçons shirts. 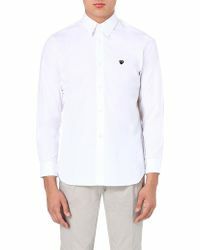 From black polka dot styles to crisp white cotton pieces, there is something for every discerning gentleman in this range.